Statto's Movie Review Site - Jason X Review. Jason X (2001), Cert 18. Starring - Lexa Doig, Peter Mensah, Lisa Ryder & Kane Hodder. Premise - Number ten in the seemingly unstoppable Friday The 13th movie franchise see's Jason taking to space and killing the inhabitants of a ship in the year 2455. 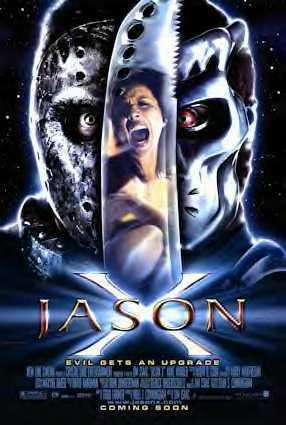 In no way shape or form is Jason X a good film, but it's certainly not a bad one either. If you take it for what it's makers clearly intended it to be, then you will have a good time. If you go in however, looking for anything remotely high brow prepare to be disappointed. Jason X is big, dumb fun. It plays out the entire running time with it's tongue planted firmly in it's hockey mask covered cheek. The set-up is way too ludicrous to take seriously. Cryogenically frozen in the year 2010, Jason is woken up in 2455 on a spaceship and takes up where he left off, killing idiots in inventive ways. The inventive killing was always a highlight for me when I used to watch a Jason film. I can remember the 3D killings from part 3 and Kevin Bacon buying the farm in the first film. X, doesn't shirk on this front. Ever seen someone get screwed? How about having your face introduced to some liquid nitrogen and then a bench? It's all overly gory and a lot of fun, kind of what I would expect if the WWE ever made a slasher horror movie. Much like Bride Of Chucky, Wes Craven's New Nightmare and (to a certain extent) H20, Jason X is the 'self aware' part of the franchise. Jason seems to be able to 'sense' when the unwritten rules (see Scream for details) are being broken. One of the films best scenes takes this right to the fore as Jason is stuck in a 'Star Trek' like holodeck representation of Crystal Lake circa 1980. I won't spoil it, but it's very funny and basically ribs the whole franchises history in one scene. If you want to look at Jason X as a straight movie then it has many, many problems. The script is hackneyed, ruthlessly borrowing from films like Blade Runner, Predator, Hellraiser and most of all Aliens. The characters spout some of the most dreadfull one-liners in the history of cinema, each almost trying to outdo the last. It's cringeworthy stuff. The acting is hammy to the nth degree, although fans (if any) of TV show Andromeda are well taken care of with two of the shows stars in the cast. 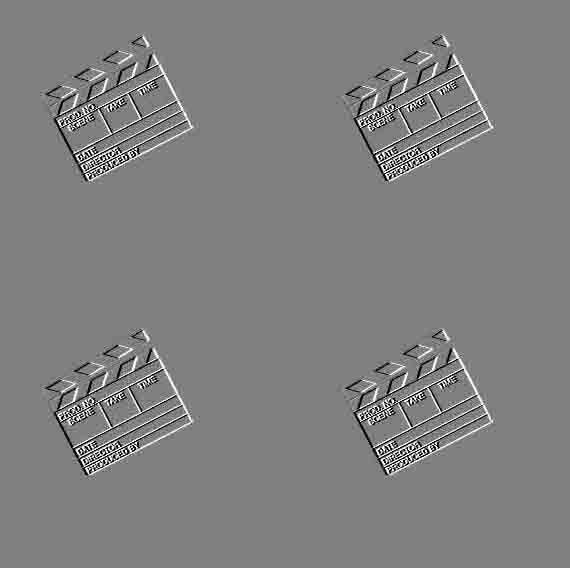 Eagle eyed watchers should also keep an eye out for director David Cronenberg in a small cameo at the start of the film. The effects are ropey, but with a budget of less than $15m what they have achieved here is VERY impressive. The all to familiar Jason theme gets brought out again from franchise mainstay Harry Manfredini. It is however the only highlight in a score that borders on the vomit inducing. Manfredini is clearly stuck in some kind of 80's synth timewarp. Kane Hodder is once again the man behind the mask and is a suitably imposing presence. Director Jason Issacs whose previous work was the 3rd House film handles proceedings well and shows some promise, making full use of the surprisingly impressive sets. When it comes down to it though, things like acting, direction & script are not what's important in films like this. You want something that reeks of strong cheese at every opportunity, that you can have a good laugh with and come out having thoroughly enjoyed yourself. If that sounds like something you would like to do then go see Jason X!